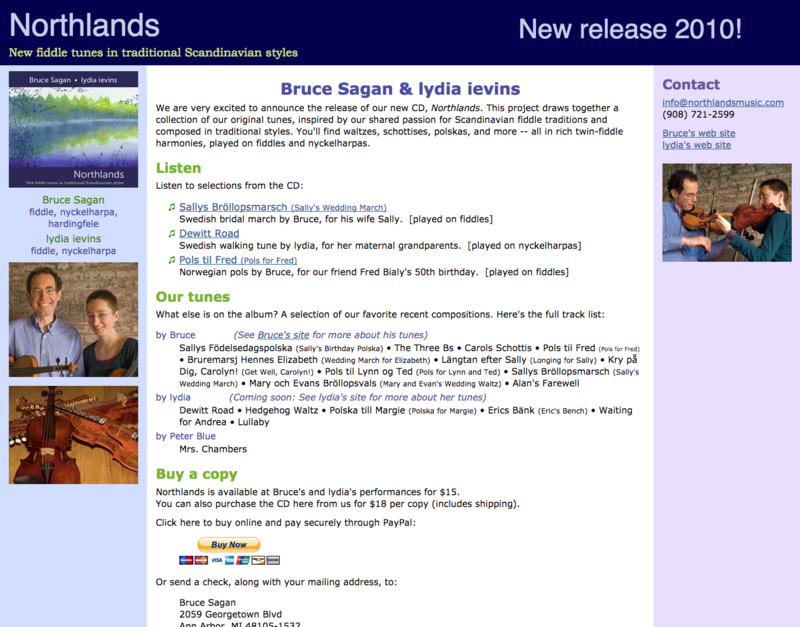 Single-page site for a new CD release. I also did the CD package design for this project. The site contains sample audio tracks, album art and photos, and a schedule of upcoming performances. Offers purchase via PayPal or snailmail or digital download. Plus, this is especially exciting because it’s my own first CD.